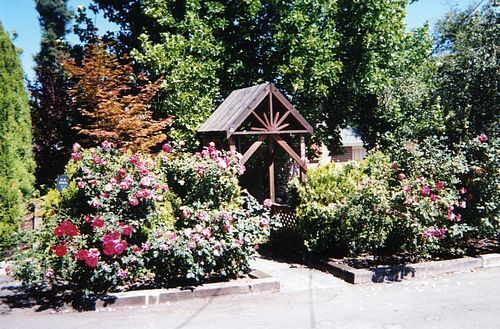 A rose garden in Los Altos. 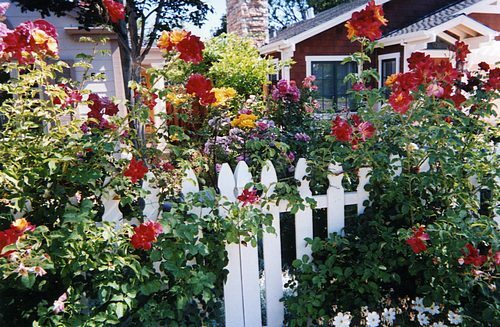 The front garden of an old friend - Menlo Park. 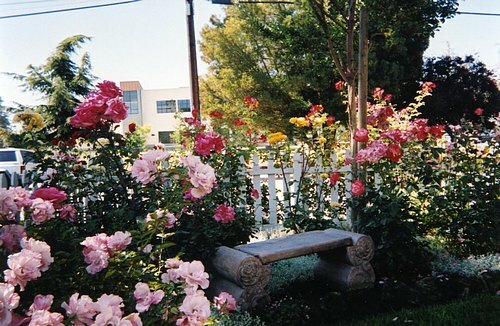 Roses used in this garden were purchased from Roger Reynolds Nursery. I highly recommen this nursery. For more info, CLICK HERE. 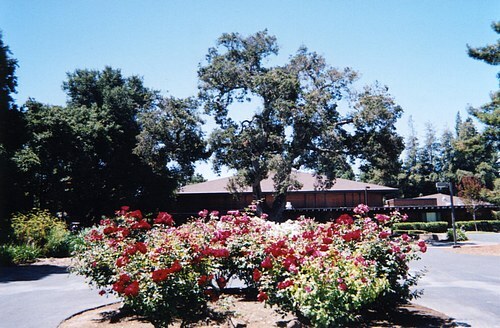 The rose garden in front of Menlo College.